Here's my makeup for my King of Blades costume! The suit has el wire and leds embedded in it and the wings open up via a wire rig. 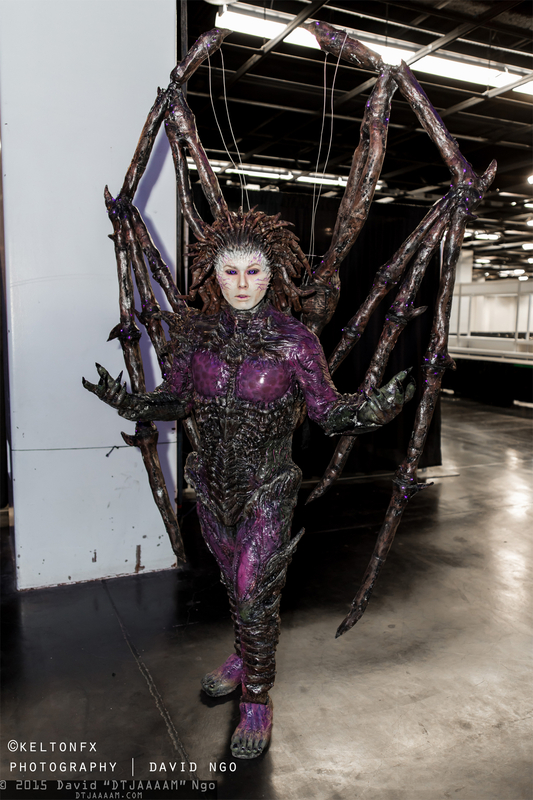 The suit itself is polyfoam with a latex skin, as are the dreads for the wig and the wings were fabricated from pvc pipe, expanding foam and packing foam. 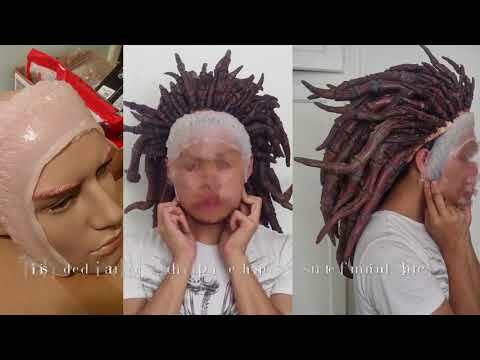 The forehead appliance is an encapsulated silicone piece with spikes sculpted from friendly plastic. 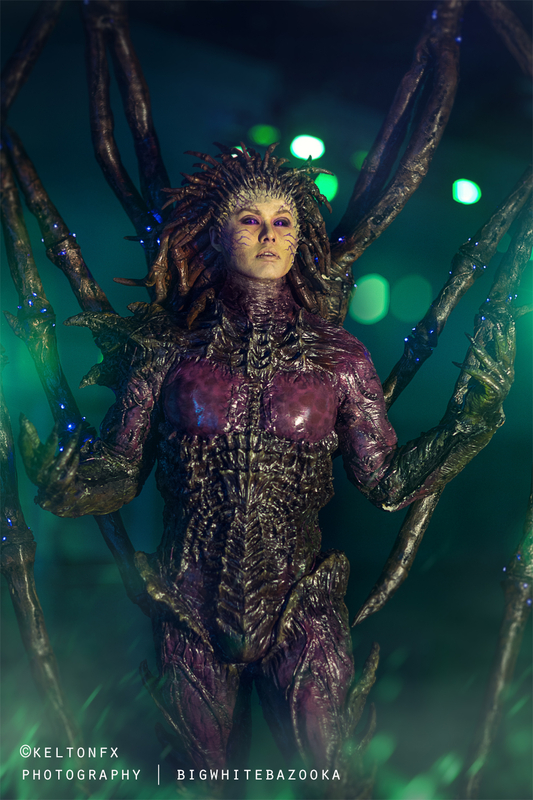 I used a number of Stan Winston courses as reference when creating this build including the 'How to Run Silicone', 'How to make a monster suit', and 'Airbrush veining techniques' lessons when doing research for creating this makeup.